This is a good Final year Electronics & Electrical project report on Homenet and was submitted for partial fulfillment of award of bachelor of technology in Electrical and Electronics engineering of Uttarakhand Technical University,Dehradun. The HomeNet system is designed to provide convenient and central control over a wide variety of home appliances through a local wireless network. The system achieves this via an extremely simple wireless network involving only a PC, a PC connector, and various controls that attach to appliances. You can also Subscribe to FINAL YEAR PROJECT'S by Email for more such Projects and Seminar. 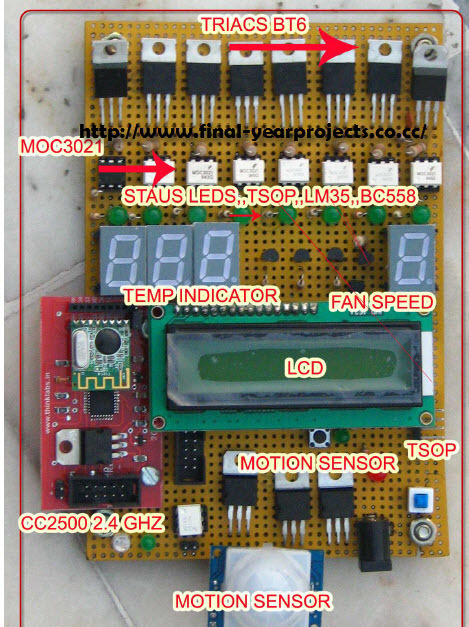 This report includes block diagram, complete circuit diagrams, full microcontroller programming and explanation of whole project. The main objective of the system is to automate all home/office and security processes. It is an objective of the proposed security system to monitor unwanted intruder activities through attached security device i.e. PIR motion detectors, Glass-break sensors and etc and inform the user on real time using SMS services and alarms. 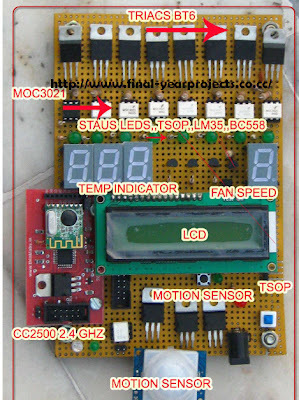 The objective of the system is to enable the user to monitor his property when he is not present there using security cameras and also to provide facility to the user to track passed activities and events logs by accessing web-based reports, tracking current status of the system from any where in the world using pocket paces, laptops and other devices is also a part of an objective of the system. Use this report only for your reference and study. Thanks to the authors. Hi. i am extremely interested to the project home automatic system of yours. I have try to download the report but unfortunately i cannot open the file. Please you assist me this matter. Just use Winzip to extract the files.